Business owners are reporting that it is harder than ever to get customers to part with their money. The fundamental behind this is that money is simply an idea backed by confidence. The higher people’s confidence, the more optimistic they are about the future, and the more willing they are to buy things. Right now the U.S. dollar has fallen to a 6-month low against major world currencies. Combine this with the news media doing an efficient job of feeding the public a constant supply of bad news. Confidence is low. According to Brazil’s weekly magazine Veja, when the Brazilian supermodel Gisele Bündchen signed a deal to represent Pantene hair products, she demanded that Procter & Gamble pay her in euros. So how do you keep increasing your business despite the fact that people are hanging onto their dollars tighter than a bulldog hangs onto his favorite chew toy? The secret is in understanding what is needed to make a sale and to adjust your strategy to the current mindset. Let’s go back to the definition of “money as an idea backed by confidence.” Before any money changes hands, a certain amount of confidence is needed. Without the correct level of confidence, a transaction never occurs. Buyers need to be confident in the value of the product or service you are offering. They need to be confident that your product or service will perform as promised. And, they need to be confident that you and your organization will deliver. So, with your prospect’s confidence already low, you must do more things than usual to raise their confidence high enough for them to become a buyer. That means that what worked last year may not be enough to convince customers today. Let me give you an example of someone who has successfully adapted to this change in buyers’ attitudes. She regularly exhibits and sells her artwork at art festivals throughout California and has the opportunity to be in direct contact with art buyers. Evidentially, the economy hasn’t met Dolly. She is doing better this year than last year. She began stepping up her promotional efforts months ago. She also noticed a shift in the attitude of potential buyers and took action. Previously, when a potential buyer saw an art piece that they liked, but the colors were slightly off for the room they had in mind, they were fairly easily convinced to commission a new similar piece with the desired colors. All that has changed. Lately, buyers’ willingness to commission work has dropped as buyers’ confidence in the economy has correspondingly dropped. What is interesting to note is that Dolly targets affluent buyers. Her prospects have the money to purchase art. When they see a piece they like, they often buy it. The average purchase is usually between $5,000 – $10,000. What has changed is their confidence in the future. If buyer can see the art they want, they buy it. If they can’t see it right now, they don’t. Dolly addresses this confidence gap a couple of ways. For one, she has dramatically increased the amount of inventory she brings to shows. This increases the probability that customers will see the “right” piece for them. – What if you take the art piece home and it just doesn’t fit the room? No problem, bring it back for a full refund. – Not sure how the art should be displayed? She and her assistant will happily come to help install the piece for maximum effect. By adding enough confidence-building components to the transaction, she overcomes the buyer’s confidence deficiency and makes more sales. So how can you adapt your business to this economic environment and lowered buyer confidence? – Be sure your promotional materials include a multitude of facts that validate the effectiveness of your product or service. – Add customer success stories and endorsements to show how others have benefited from buying. – Reverse the perceived risk involved with a purchase by providing satisfaction guarantees. – Put together an offer that is so irresistible that people overcome their inertia and become a buyer. There is an art to putting together an irresistible offer. Ideally, it should not only boost sales, it should create a profitable business relationship, and maintain the value of your product or service. Do this well and you can see some dramatic increases in your overall sales. Do it now, because every day you wait you simply leave money on the table.  Want some expert help in modifying your marketing to work in this low confidence era? The first step is to have a no-risk, no-obligation discussion to discover a plan of action that will get results. Call (800) 595-1288. I look forward to talking with you.